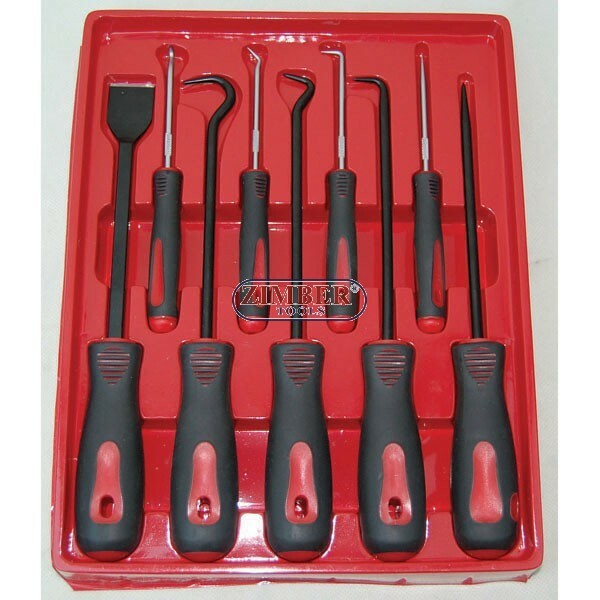 Куки к-т + стъргалка 9 части (ZT-04122) - SMANN TOOLS. Scraper Hook & Pick Set (ZT-04122) - SMANN TOOLS. 9pc Scraper & Pick Hook Gasket Scraping Hose Removal Garage Workshop Tool Set. Professional 9 Piece Pick and Hook Set and Gasket Scraper. 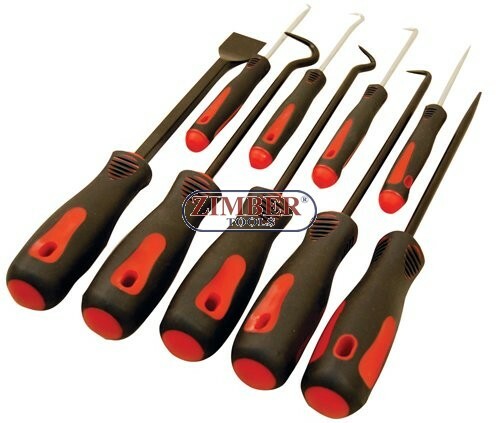 Set of four short picks with knurled, polished finish steel shafts and four long picks and a scraper with black Phosphate finished steel shafts. 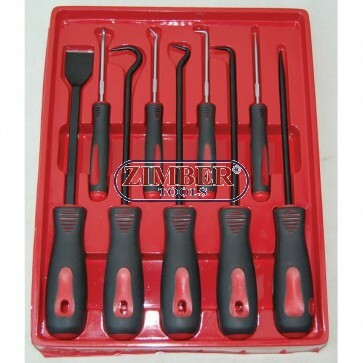 This tool set is suitable for pin, clip picking, hose removal and gasket scraping. Hooks and picks are ideal for the fitting and removal of O rings, seals, Bushes, Springs and Fuses. The larger hooks are perfect for removing those impossible to remove water pipes.